The video game industry has always been able to turn to Hollywood for inspiration, and while some movie-based games have been more successful than others, most of them at least have built-in fan bases. But as the gaming industry moves to embrace virtual reality, it will be interesting to see if this trend continues. So far, we've seen a little bit of a divide between gaming on VR and experiencing popular films in other ways. Consider The Martian, one of the most popular films of 2015. Early this year a "VR experience" for the film was announced and tested out, and The Verge called it "out of this world." The experience basically allowed fans to play out aspects of the main character's struggle to survive on Mars, but did so in a manner restricted by the narrative. It wasn't a full-blown video game, but it seems more indicative of what's to come in the relationship between films and VR: trailers, reveals, and "experiences." But when you consider the abilities of VR headsets to deliver incredible immersive experiences, it seems as though there are plenty of films that could be used as inspiration for more conventional games. Let's look at a few examples, just for the sake of hope. Frankly, either Gravity or Interstellar could be extraordinary in VR, but as the simpler of the two films, this one might be best. If you saw it, you know that a lot of it consisted of George Clooney and Sandra Bullock (primarily the latter) floating around a space station trying to fix problems and avoid the nightmarish possibility of floating off into infinity. To some extent, this concept is already being done on VR. A list of highly anticipated VR titles earlier this year included a game called Adr1ft that basically deals with being lost in space. But a similar game with a popular film backing it up could truly be extraordinary — and horrifying. It's actually very difficult to imagine how an Inception video game would play out, but given that the film already deals with alternate realities (or dreams presented as such), it feels like a natural fit for VR. The idea of slipping on a headset to enter a dream world (and perhaps slipping on another within the game to go deeper into another dream) is almost dizzying. It might present a genuine psychological issue, but for fans of the film it could be a real thrill. Rush was pretty overlooked as a film, perhaps that was because its subject was Formula 1 racing, which isn't very popular in the United States. There does appear to be a title among some of the pop entertainment-based bingo rooms at Gala Bingo that might be based on the film. At least, it's called "Rush" and depicts a starter light and an open road as a backdrop for quick bingo games. But there hasn't actually been an action racing game based on the film. It would seem to be perfect subject material for a fairly straightforward VR racing game. There are plenty of racing games coming out (the genre makes a lot of sense for VR), but the chance to race as or against Chris Hemsworth would thrill a lot of gamers. Construction appears to be oddly popular among VR developers. Indeed, we already know that one of the biggest titles is bound to be the Minecraft VR game that has already been demo'd to the delight of millions of fans of the game. 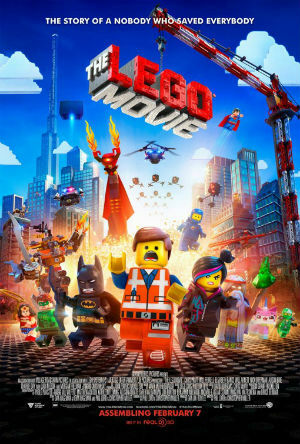 So what's to stop anyone from making a similar experience that takes place in the animated LEGO world that was so wildly popular in 2014? Particularly if the actors who voiced popular characters (such as Chris Pratt, Will Arnett and Co.) were on board, this could be a huge hit on VR. This one hasn't come out yet, but it's easy to imagine an absolutely spectacular game being made out of the Independence Day sequel. Both shooting and piloting experiences seem to be primary focal points for VR developers, and indeed one of the biggest VR developments out there already concerns alien blasting. Evidently, New York will soon be opening a Ghostbusters-based VR attraction that goes beyond in-home headsets. Regardless, imagining a regular VR game in which you could both fly in a cockpit battling alien invaders and whip out a blaster to take them down in the flesh is pretty exciting. Odds are that in due time we will start to see a few titles like these released for VR consoles. But these films would make good starting points for the idea of movie-based gaming on the newest in-home platform. How about those mountain climbing movies/documentaries?